Heading to Sydney? Whether you’re here for a family holiday or for any corporate needs, why not stay in a convenient location in one of Sydney’s tallest hotels? 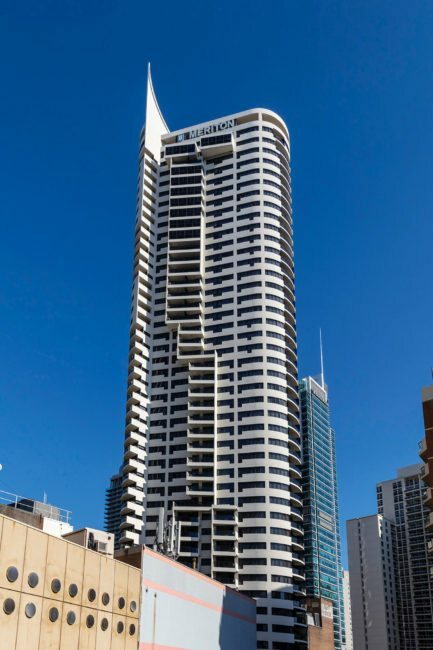 Meriton Suites Kent Street, Sydney stands at 56 levels high. Located in the heart of Sydney’s CBD and with exciting Darling Harbour only moments away, you can experience entertainment, delicious waterside dining and convenient transport options at your fingertips. A five-minute walk to Town Hall Station makes it incredibly easy to explore exciting Sydney and beyond. 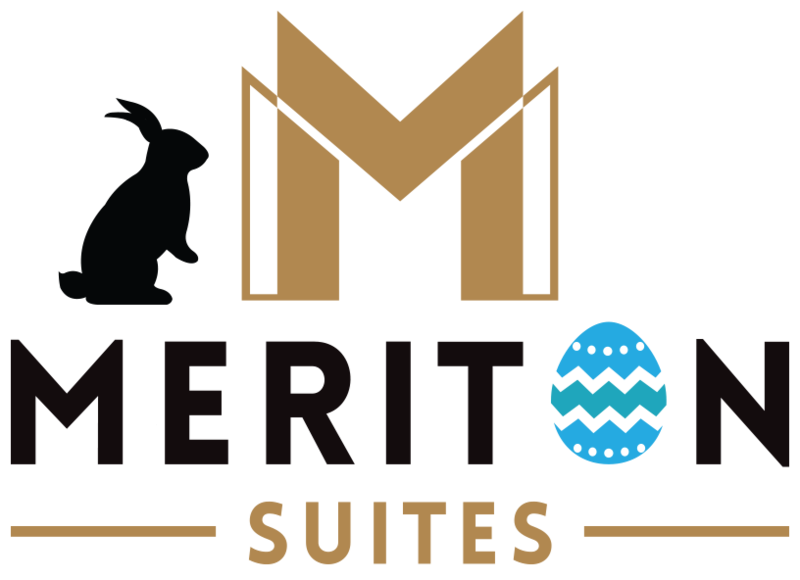 No matter which of the 430 suites you choose, you’ll be impressed by contemporary furnishings, a fully-equipped residential-size kitchen, internal laundry, and full sized private bathrooms with designer bathroom amenities. Plush bedding will ensure a great night’s sleep and a range of Foxtel sports, movies, news and documentary channels will captivate your interest when you need to relax after a busy day. Indulge in an uncompromised stay for the whole family or with friends in our spacious 2 and 3-bedroom suites. You’ll never feel overcrowded as the spaces have been designed to be three times larger than a typical hotel room, with our Altitude Suites offering uninterrupted views of sparkling Sydney. Or witness glistening night lights over Darling Harbour from our Darling Suites for a sight to remember forever. Take your stay to new heights, literally, with our brand new Penthouse Collection Suites, positioned on the top floor. These tri-level suites have just finished a complete re-design and feature all the inclusions of your dreams to provide an unmatched accommodation experience above the city skyline. Our Summit Penthouses go above and beyond your expectations, as you wake up to the aroma of freshly brewed coffee with your own Nespresso Creatista coffee machine. Rejuvenate and enjoy full use of our hand-crafted bathroom amenities, professional GHD hair straightener and a luxury turn-down service. Make the most of our onsite resort-style recreational facilities, all for exclusive use by our guests. Choose to relax and unwind to the bubbles of our large spa, sit in the hot steam of our sauna or give your muscles a workout in our state-of-the-art fitness centre and heated lap pool. Complimentary unlimited, high-speed Wi-Fi is available from everywhere in our hotel including your room to ensure you stay connected for work, or to check in with your loved ones while you’re away. With an unrivalled location in the centre of Sydney’s vibrant city, Meriton Suites Kent Street, Sydney ensures you’ll enjoy the perfect mix of attractions, shopping, entertainment, dining, and culture. Only moments away from the popular sights of Sydney and with Darling Harbour, Circular Quay, the Royal Botanical Gardens and the International Convention Centre all within walking distance of our front door, your stay with us is the perfect combination of convenience, comfort and first-class living.